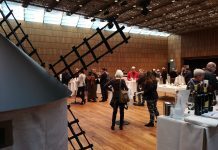 Once again this year, the Regulatory Board travelled to the city of Düsseldorf (from 18 to 20 March) to promote the image of DO La Mancha wines. 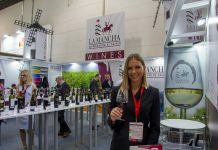 “Nowadays, Germany is the European Union country with the highest sales figures for DO La Mancha wines, so it was imperative that we attended this trade fair, the world’s biggest event in terms of its contribution to quality and added value for our wineries”. With these words, Regulatory Board President Carlos David Bonilla gave his initial positive impressions of the experience of La Mancha wines at ProWein 2018. The same as in previous years, the inter-professional delegation opted to have its own 48 m2 stand. The modern, open-plan space inside the Spanish pavilion was designed to include a free tasting area where visitors were able to find out about La Mancha wine production and the region’s production identity. 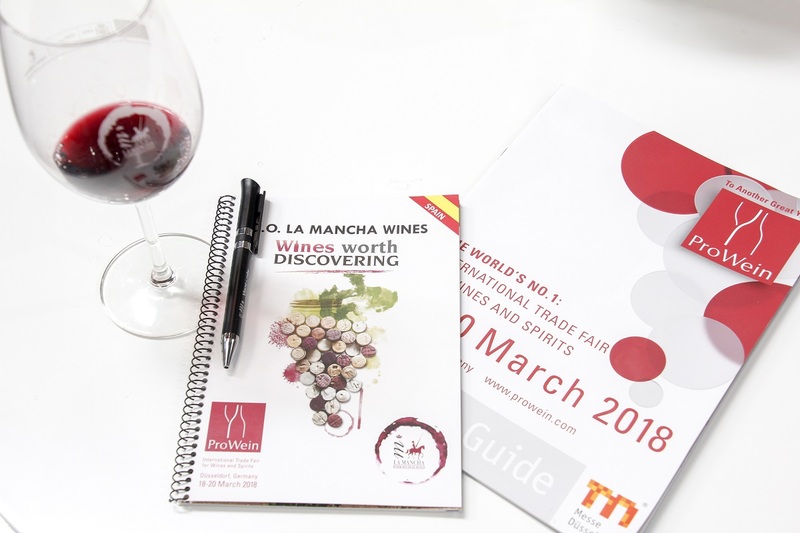 As Bonilla explained, the 97 La Mancha wines from 28 different wineries caught the attention of visitors attending ProWein, the leading wine trade fair held in north-west Germany. In terms of young wines, the Tempranillo variety in particular was the most popular with the many German visitors at the event. The Regulatory Board are keen to emphasise the importance of a consumer and a country (traditionally also a white wine producer) that values the aromatic and fruity expressiveness of red wines in their young phase. In fact, with close to six million bottles sold in 2017, Germany continues to be the world’s second biggest importer of La Mancha wines. 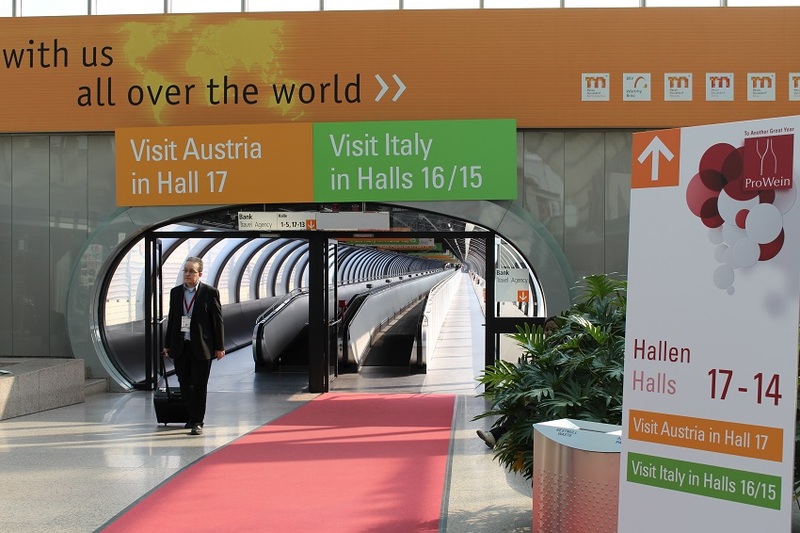 Early figures provided by the organisation are evidence of how big ProWein has become. More than six thousand exhibitors from 64 different countries, with a total of close to 60,000 visitors turned the Messe Düsseldorf fair complex into the world capital of wine.